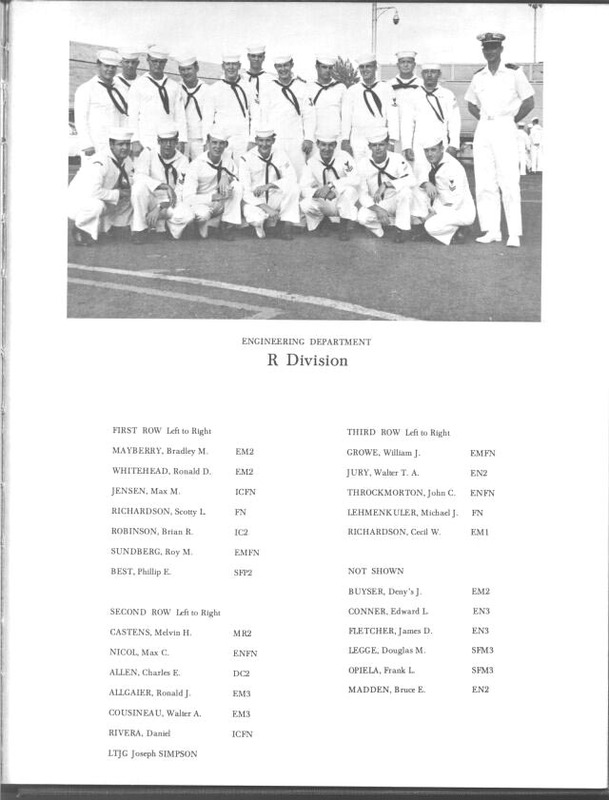 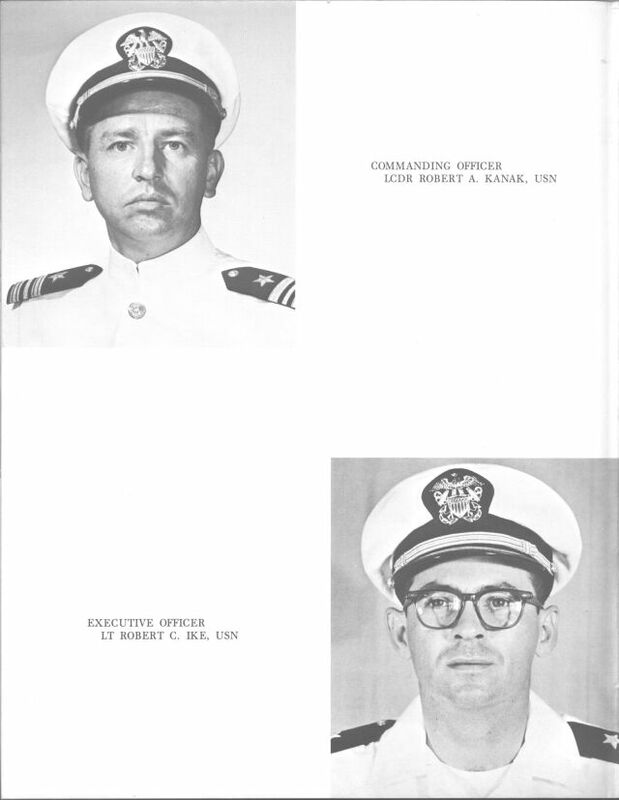 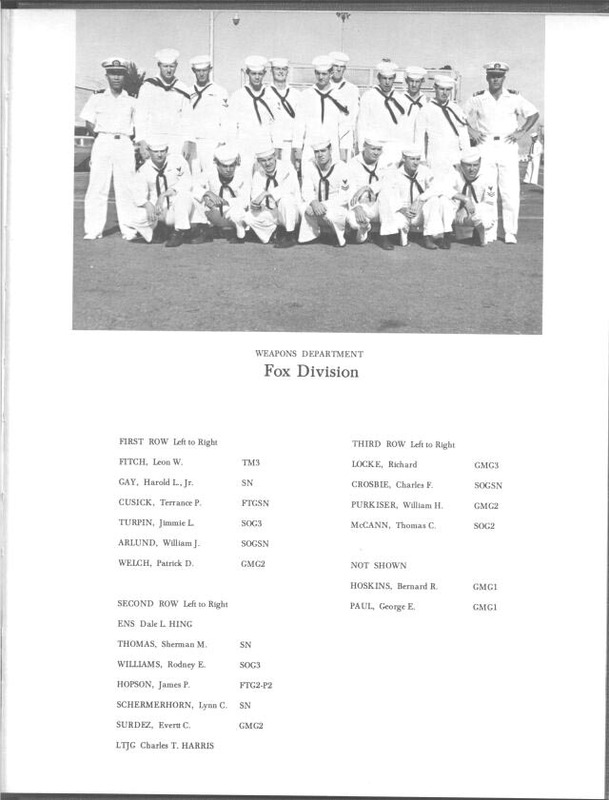 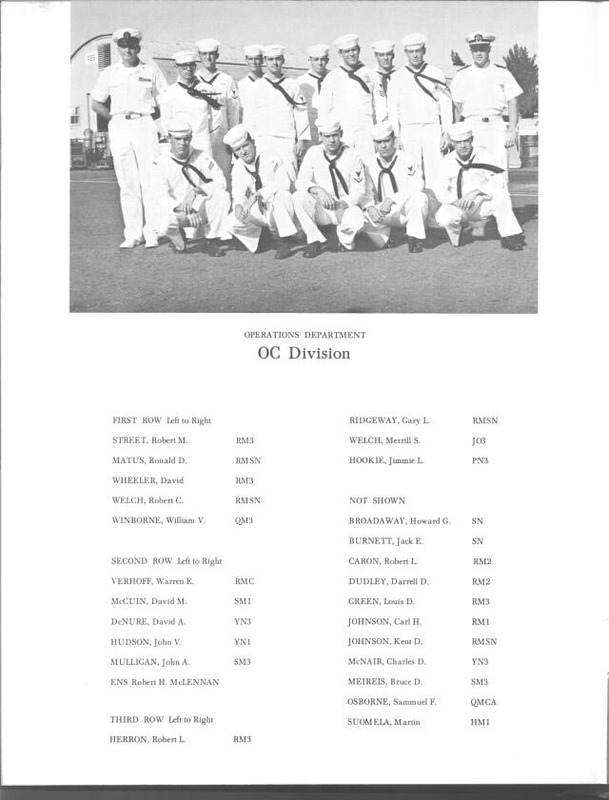 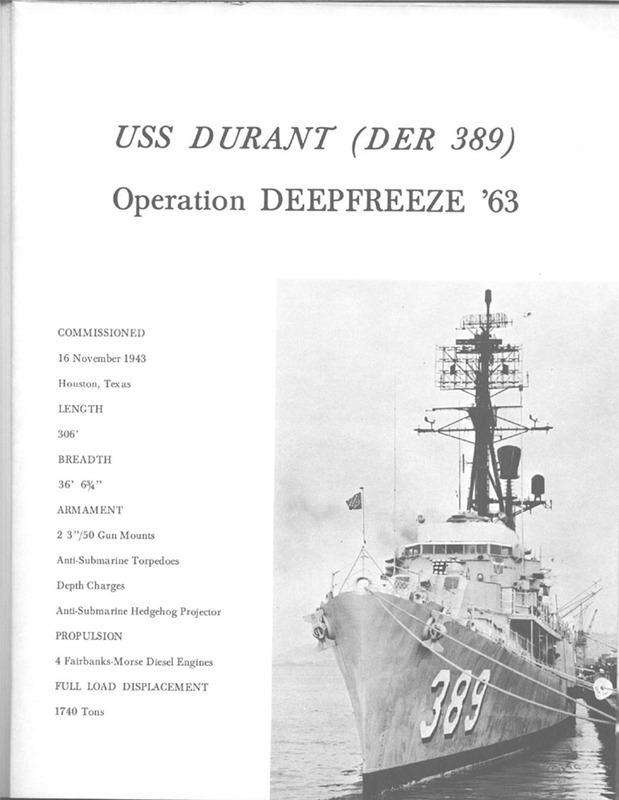 Fred Alberg was a Radarman aboard USS Durant, DER-389 on Deep Freeze 1962-63. 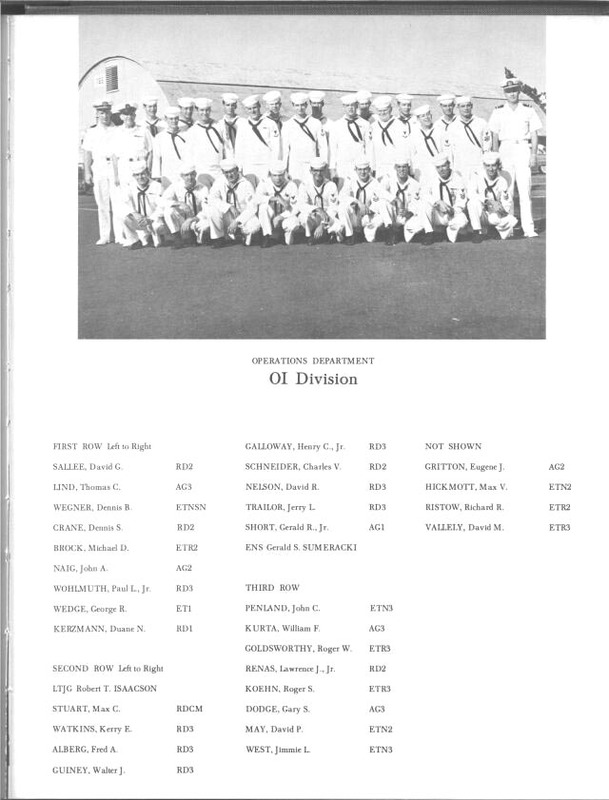 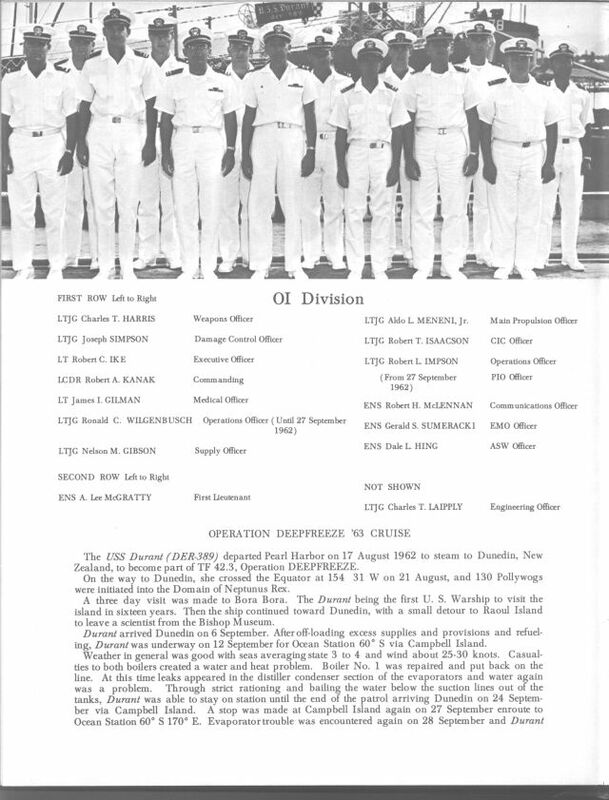 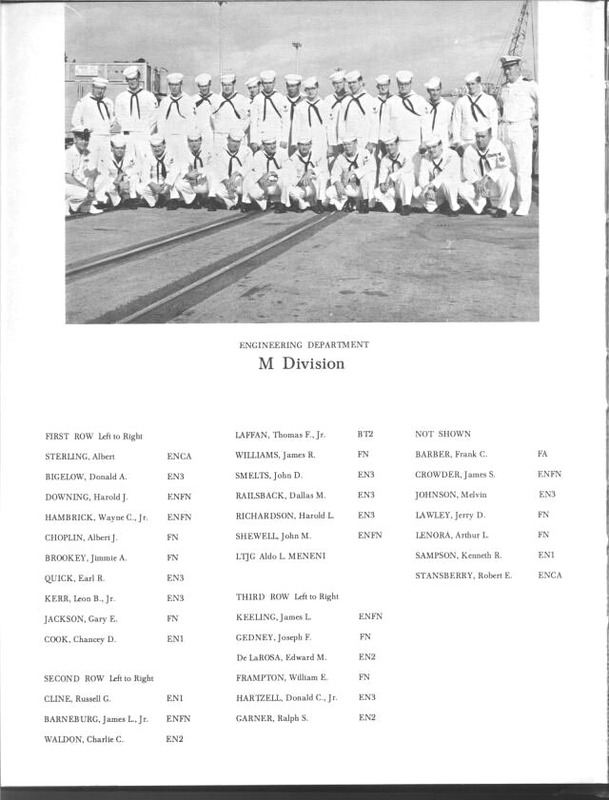 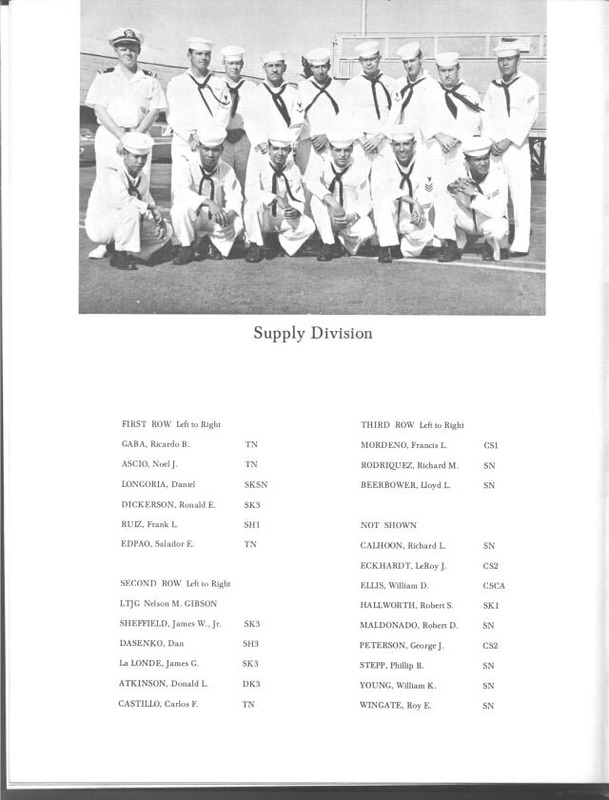 Fred sent along the Durant's cruise book from that deployment, along with other pictures and articles. 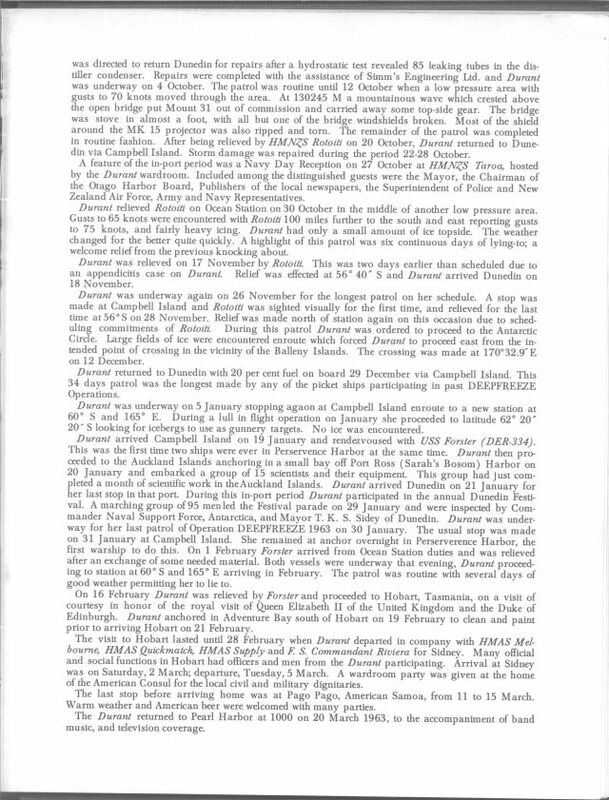 Fred had the distinction of being "marooned" on Campbell Island for 2 weeks. 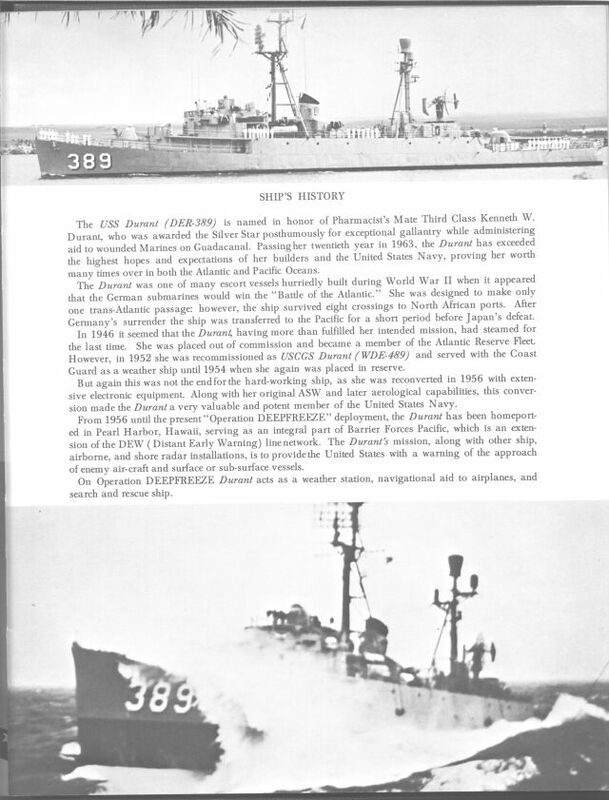 Seems a storm forced Durant to curtail their visit to Campbell Island, stranding Fred, who was sightseeing, on Campbell. 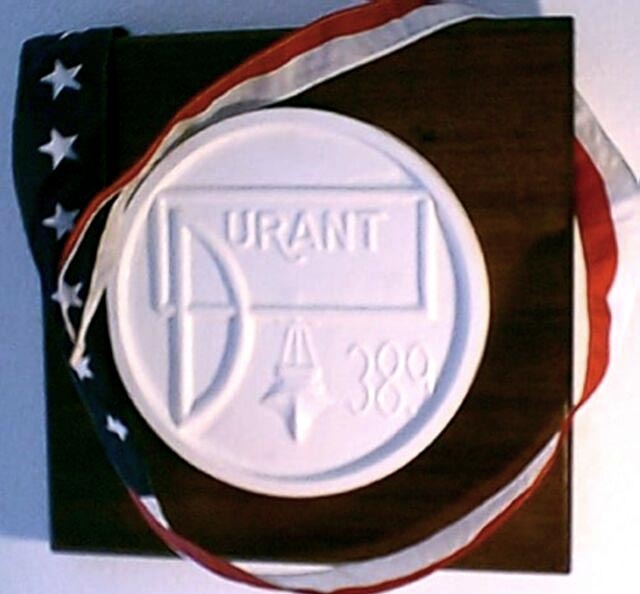 USS Durant Plaque and Commissioning Pennant. 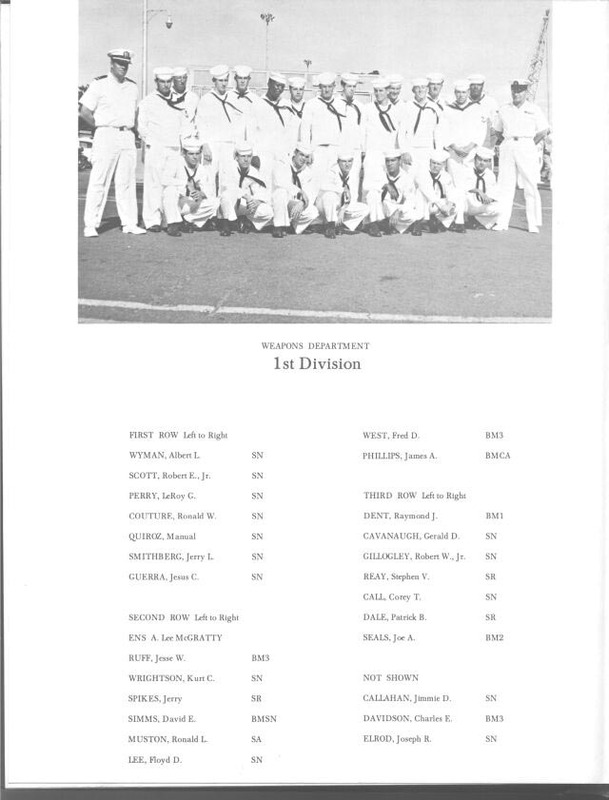 Obtained by Fred Alberg at the Durant's decommissioning.